This Saturday the increase of the trade winds will be favoring the precipitations in the Caribbean and a decrease of the rains both in the Pacific and in the Central Valley. There will be isolated rains in the mountains of the Caribbean and North Zone. This scientific document, produced by the Department of Climatology, provides information on the current and upcoming state of El Niño or La Niña events in a national context. This newsletter is published at the end or beginning of each month. Previous issues are also available. The Ministry of Environment and Energy (MINAE), the Climate Change Department (DCC), submits a draft of the "National Policy for Adaptation to Climate Change in Costa Rica" to the institutions and the public in general. The National Meteorological Institute, offers a range of services that can be ordered online in the next section of the site. One of the greatest challenges facing humanity is climate change. One issue that should concern us all. In this section you can view the climate change report or browse in our dedicated website for this importance issue. 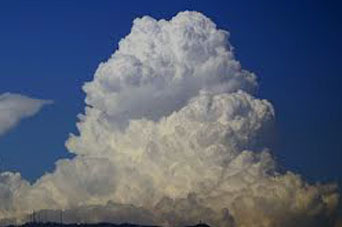 Reigning time depends on the type of clouds that form in the sky and, therefore, forecasters are interested in the study of their structure and evolution. Learn more about this fascinating subject.